Beautifully situated on an elevated sandy site above South Africa's Kouga Coast, St Francis Links was designed by Jack Nicklaus and first opened to considerable fanfare in 2006. 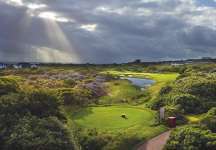 The course is marketed as a links, and the location certainly holds considerable appeal, given both the popularity of the St Francis Bay and Jeffreys Bay surfing areas, as well as the proximity of Port Elizabeth only an hour to the northeast. The links moniker at St Francis irked some in the early days, because of the developments integrated housing estate and prominent irrigation lakes, but as the course matured it evolved into something that certainly feels more traditional, and more old-world, than most other Nicklaus courses. The use of native vegetation and indigenous rough grasses to frame holes and line bunkers is effective, as are most of the undulating green complexes, which tend to marry nicely with surrounding chipping-zones and open bounce-in areas. The course at St Francis is essentially arranged in two loops either side of an elevated clubhouse. The front heads in a clockwise direction to the north, and enjoys the pick of the views and more of the pristine white scrubby duneland. The back nine, by contrast, is set in an anti-clockwise direction south of the clubhouse and across slightly less dramatic terrain. The main irrigation lake is in play on a difficult three-hole loop from 13 to 15. Both nines cross residential roads more than is ideal, but most green-to-tee transitions are quite manageable and it is certainly a walkable experience. 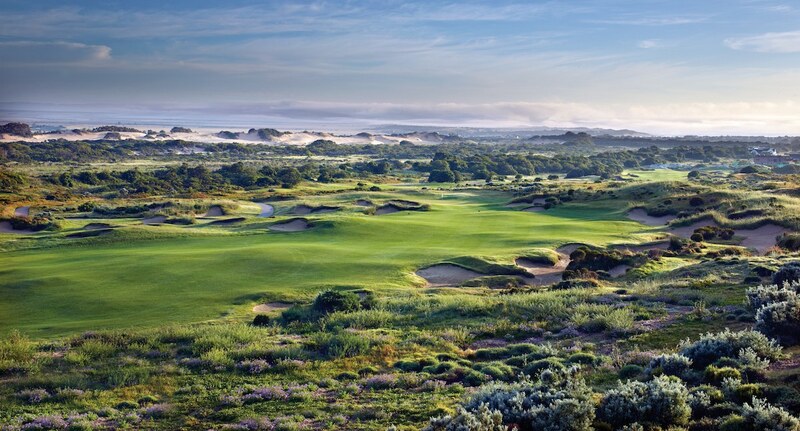 There are also a number of west-east holes incorporated into the routing, to sensibly showcase the beauty of St Francis Bay, less than a mile away. One of the features of the golf course is the attractive set of par threes, and a couple of tempting short to mid-length par fours. The longer holes are certainly a strict challenge, but generally the charm of St Francis is with those shorter, dangerous holes. The first is the unusual multi-green par three 4th, played either to an angled green set down on the ground or an upper target perched atop a bunkered ridge. The green in play depends on the tees being used on the day. The following hole is one of the best, and driveable for those able to bomb a tee shot down into a narrow neck, and draw it between the farthest traps. The rewards are great here, but so to the risks. Better holes on the back nine include the wide-open par four 12th, played across softly rolling ground and between a series of shallow dunes. The key to the hole is the green site, set partly obscured beyond a bunkered mound. Sea views on the attractive par three 17th, as well as a nasty crowned green with a sunken back bowl, also stand out as memorable. As does the strong closing par four, which bends into a tight green cut into a small hill and set beneath the clubhouse. 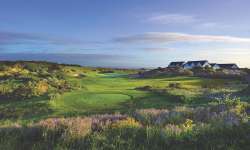 Like the Ocean Course at Cabo del Sol in Mexico, what St Francis Links shows is the value of good land in creating worthwhile signature golf courses. St Francis doesn’t boast enormous dunes and isn’t set down on the water like some of our spectacular modern gems, but the softly undulating landscape is ideal for golf and the views across the property are very pleasant. 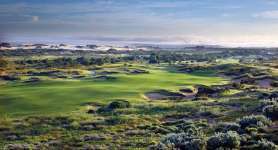 South Africa is a great place to visit, and this is one of the rare modern courses to compete with the country’s best classics.